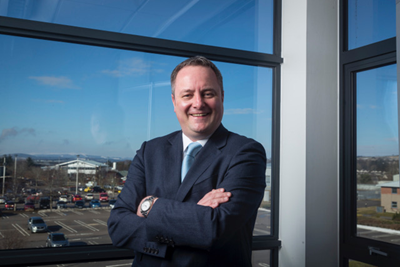 M² Subsea has appointed Andrew Imrie as global sales and marketing director. With a career spanning more than 20 years in the global oil and gas industry, Imrie joins M² Subsea from Ampelmann where he was commercial director, based in the Netherlands. Prior to this, he held a number of senior roles with Proserv, Amec, GE Oil & Gas and National Oilwell Varco. His broad industry experience, coupled with his strong commercial track record has seen him develop new and profitable business opportunities throughout his career. As global sales and marketing director, Imrie will spearhead M² Subsea’s drive to expand its international offering from its hubs in Aberdeen and Houston. He will be based at the company’s headquarters in Aberdeen and will join the main board alongside Mike Arnold, Mark Wood and Stuart Bannerman. M² Subsea is an independent provider of underwater ROVs and subsea project management and engineering services.